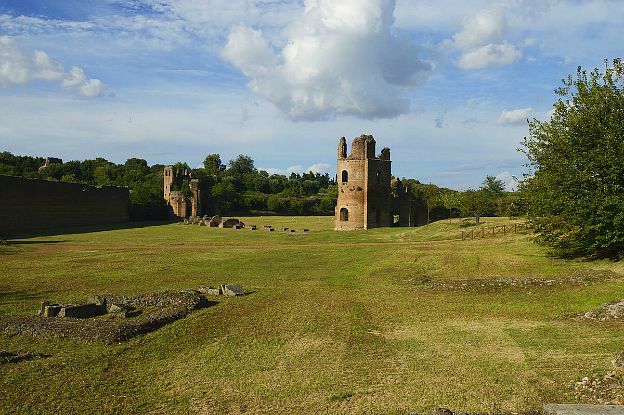 The Regional Park of the Appia Antica, just outside of Rome's city center, makes for a perfect day trip, especially on Sunday and national holidays, when the entire area of the park is closed to traffic. The Appia Antica park combines nature trails, to be explored on foot or by bike, with historic monuments and archeological sites. It is a great chance to spend a relaxing day amid nature and archeological treasures. 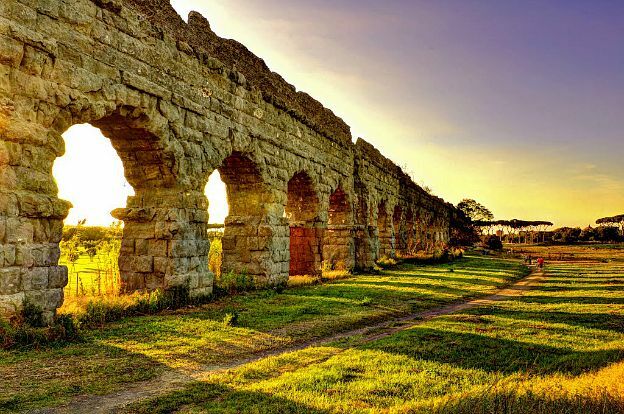 The 3,400-hectare park encompasses the first 16 kilometers of the ancient Appian Way, the Caffarella Valley, the archeological area of the Tombs of Via Latina and the Aqueduct Park with Roman aqueducts. Many sites of interest can be found along the Appia Antica, the Regina Longarum Viarum, or “Queen of the Long Roads”; built in 312 BC to connect Rome to Brindisi in the south of Italy, it was one of the most important roads of the Roman republic. At the road’s second mile is the Church of St. Mary in Palmis, better known as Church of Domine Quo Vadis, supposedly built on the site where St. Peter, fleeing persecution from Rome, had a vision of Jesus, to whom he asked, “Domine, quo vadis?” “Lord, where are you going?”. Jesus responded he was going to Rome to be crucified again, thus convincing Peter to accept his martyrdom. Proceeding along the Via Appia, you will next encounter the Catacombs of St. Callixtus, among the greatest and most important catacombs of Rome. They are part of a large complex where martyrs, Christians and popes were buried. Built around the 2nd century, they became the official cemetery for the Christians of Rome. A web of underground galleries house the crypt of St. Cecilia, the Crypt of the Popes, also known as “Little Vatican” because it contains the tombs of nine popes, the remains of early saints, as well as many preserved mosaics and frescoes. Continuing down the road, you will pass many ruins from ancient Rome. Next up is the Circus of Maxentius, part of an imperial complex erected by Maxentius, the 58th emperor of the Roman empire between 306 and 312 AD; the 513-meter long Circus, which hosted chariot-racing courses and is second in size only to Rome’s Circus Maximus, is one of the best preserved imperial circuses. Here are also the remains of a villa where Maxentius lived. Nearby is the Villa Capo di Bove, an archeological site containing the thermal baths of a vast property owned in the 2nd century AD by the prominent Roman senator of Greek origins Herodes Atticus and his wife Annia Regilla. The nearby Tomb of Cecilia Metella, one of the best preserved monuments along the Appian Way, is a mausoleum built in the 1st century B.C to honor Cecilia Metella, daughter and wife of important Roman politicians. Further down the road is the Villa of the Quintilii built by two wealthy brothers during the 2nd century. When the villa ruins were first excavated, they extended on such large grounds that the villa was thought to have been a town. It included thermae fed by its own aqueduct, and even a hippodrome. All the sites mentioned above are within walking distance of each other. If you wish to venture further into the park, it may be a good idea to rent a bike, which you can do at the park’s Information Point. Guided walking and biking tours also depart from the info point (advance reservation necessary). Other sites of interest to be found in the park are the Tombs of Via Latina, an archeological site displaying Roman tombs mainly from the 2nd century AD positioned along a short stretch of the old Roman road known as Via Latina; the Caffarella Valley, which boasts several species of birds and fauna and archeological items, including the remains of a large estate which occupied much of the area; and the Aqueduct Park, named after the Roman aqueducts found here, the Aqua Felix and the Aqua Claudia. 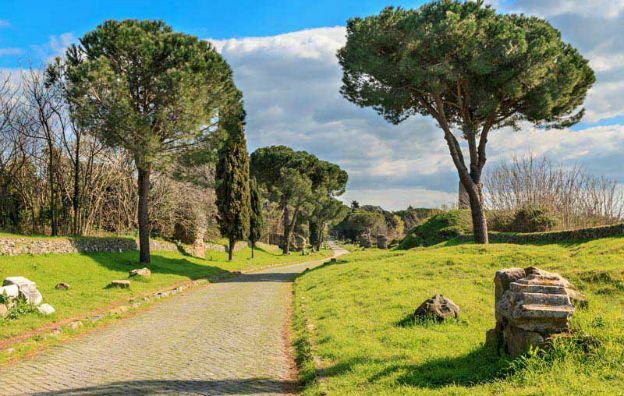 For more information about the Park of the Appia Antica, click here.